By Environmental Protection Engineering S.A. - EPE S.A. based in Piraeus, GREECE. The Repsol Vetting department ensures a commitment to protection of the environment, and to the safety and quality of ships carrying cargoes owned by any of the Repsol group companies or ships which operate in any of the Group's marine terminals. By REPSOL based in SPAIN. By Urbaser SA based in Madrid, SPAIN. 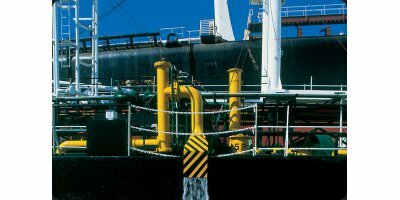 Only segregated ballast tankers are allowed to deballast into the sea. Masters are requested to ensure that the ballast is pollution-free before starting this operation. Clean ballast tankers will deballast on land facilities as agreed in the operations plan. By HudsonAnalytix based in Pennsauken, NEW JERSEY (USA). By International Tanker Owners Pollution Federation Ltd (ITOPF) based in London, UNITED KINGDOM. Mavi Deniz was inaugurated in early 20’s with two primary considerations in mind- care of the marine environment and successful ship owning activities.In this respect, the Group has successfully implemented the concept of Floating Slops Reception Facilities, as per MARPOL 73/78. 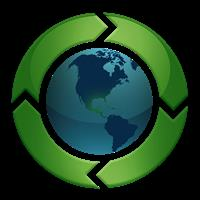 By MAVI DENIZ Environmental Protection Services Co. based in Istanbul, TURKEY. Marine engine NOx certification surveys using IMO Marpol Annex VI protocols. International Dioxin/Furan/PCB emission surveys. Remote biomedical/refuse incinerator emission testing using Canada wide standard protocols for Dioxin and Mercury. Creating a Company Environmental, Safety and Risk Management Strategy: Many shipping groups need to create a company-wide Environmental Management System strategy that incorporates leading environmental safety practices. It should be based on key guiding principles. By DNA Maritime LLC based in Mystic, CONNECTICUT (USA).